Starting a mobile detailing business for yourself can be a challenging endeavor, but selecting the best company to partner with and getting the right information and equipment is key to any successful service oriented business venture. 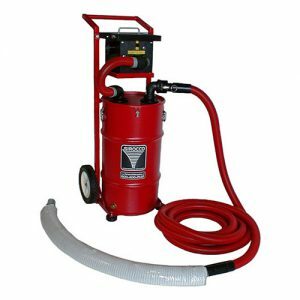 If you are considering a career in mobile auto detailing, or even running a detailing business on the side, having the right mobile car wash equipment can make all the difference. When you have professional grade auto detailing equipment, not only is your work more thorough and proficient, but the customer’s perception of you is much greater as well. Something that you wouldn’t be able to do with consumer grade equipment now becomes simple with the proper car detailing equipment like our spot free water filters so you can offer spot free hand car washes. Detail King offers a wide variety of eco friendly eco friendly car detailing equipment so not only will can you provide exemplary service, but become EPA compliant as well. Being a business owner is a challenging but noble endeavor, and with the help of Detail King, you can become the leading mobile auto detailing service in your area. Becoming a mobile auto detailing professional can be one of the most exciting things you have ever done. Here’s why. Mobile Auto Detailing is a very lucrative business opportunity to be part of. Owning and operating your own mobile detailing business can also be very rewarding and exciting. Your start-up costs are lower as opposed to leasing or purchasing a building and your overhead typically associated with operating a mobile auto detailing business is less expensive. It’s ultra convenient to have a professional detailer come to your home or business instead of having to drive to a facility and wait, or have to depend on someone to pick you up and take you back. People are just too busy today keeping their lives organized and would welcome a service like mobile auto detailing with open arms! Professional mobile detailers offer clients and their cars an awesome service and can perform services on their cars that most individuals cannot do themselves. Today’s vehicles are very expensive and their owners are keeping them longer and they understand how important resale and trade-in value is. Cosmetic maintenance is more important today than it has ever been in the past. 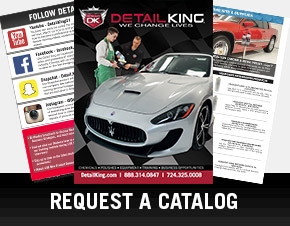 Be Sure to become a fan of our Detail King facebook fan page and see what others are saying about their detailing businesses and be on top of the latest news at Detail King. When starting any auto detailing business, there are many things to consider. One of the first decisions that an entrepreneur needs to make is whether they want to have a mobile detailing operation or a fixed detailing location. This can be a tough decision for some but there can be many advantages of operating a mobile detailing business versus a fixed location. 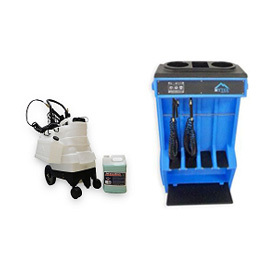 One advantage of a mobile auto detailing business is that the mobile detailer can go anywhere to conduct business and easily take his or her mobile detailing equipment and supplies on the road. Advertising costs are usually less because your mobile detailing unit is “rolling advertising” everywhere you go. There is also plenty of room for growth because you can always put a second unit on the road when it’s time to expand your mobile auto detailing business. Many successful mobile detailers also offer other profitable services like headlight restoration, plastic trim restoration, carpet dying, car interior repair, windshield repair, odor removal and even rock paint chip repair. 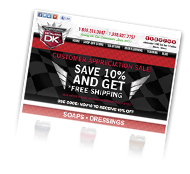 To keep informed with our Special Offers, Sales, Discount Deals and Newsletters be sure to sign up today. With the operation of a mobile detailing business you will not have to worry about the up-keep and maintenance of building and grounds associated with a fixed location. You also will not incur utilities expenses and your business insurance costs typically will be much lower than they would be if operating out of a fixed location. You can take your mobile auto detailing business pretty much anywhere you want; business parks, affluent neighborhoods, strip malls, parking structures, parking lots, office building complexes, flea markets, horse shows, car shows, and many more. As you can see this is a very lucrative opportunity and can be an excellent source to generate revenues whether you are operating it part-time or full-time. You have many choices of what kind of mobile rig you want to use. Some individuals purchase a pre owned cargo van and install the necessary equipment; pressure washer (hot water or cold water), water tank and a generator. Others choose to purchase a mobile detailing trailer and attach it to a vehicle like a pick-up truck or SUV. You can also easily install a mobile wash system in the bed of your pick-up truck to keep your start-up costs low. Detail King offers many mobile detailing wash systems and eco friendly water containment systems that are designed to meet everyone’s needs and budget. You can even operate this business part-time and generate revenues in the evenings and on the weekends. Many new entrepreneurs keep their full-time job until they have enough clientele built up and then leave their job and tackle this endeavor full-time. With today’s economy being the way it is many individuals have been laid off and are looking to start their own business. Owning and operating your own mobile auto detailing business is an excellent choice! There is vast opportunity for growth within this service industry. You can establish a wide variety of accounts; commercial fleets, auto dealerships, private high-end car owners, funeral homes, real estate companies, business executives, car rental agencies, limousine companies are just a few that will use your mobile auto detailing service on a regular basis. You can offer weekly car wash and cosmetic maintenance services, complete detailing, express detailing services, and profitable auto reconditioning services. Detail King can provide everything you need to get your new mobile auto detailing business started and help you grow it! We offer the very best products in the industry including eco friendly detailing supplies, business start-up packages, creative marketing services, professional auto detailing training and on-going support through our authorized licensee program. We have the knowledge and experience to help guide you and advise you. Detail King is recognized as the industry leader throughout the world. We have a customer base of over 11,000 and an expertly trained staff that is committed to your success. Feel free to contact us, you may be surprised how pleasant it is to deal with individuals that are extremely knowledgeable with what they do and are generally concerned with helping you make the correct decision about getting into this business versus just trying to “sell you something.” Consider attending one of our future auto detailing training seminars so you can get a real feel for this business and all the opportunities that are available. Mobile detailers in many parts of the country need to contain their wash water. 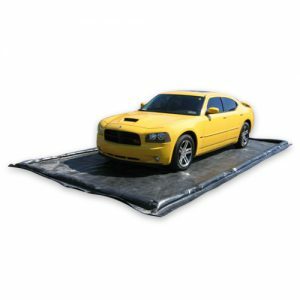 Our car wash mats come in various sizes from mini mats to full size custom made mats for every type of mobile car wash business. Our Big Dog water reclamation systems are available with 15 and 30 gallon drum tanks. 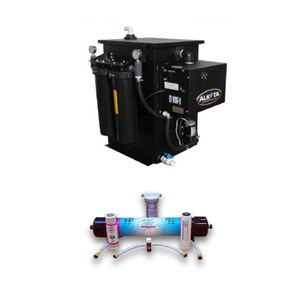 These reclaim systems can be used inside a car wash mat or on the asphalt with a vacu birm. The EPA is cracking down on mobile auto detailers and mobile car wash operators in the coastal towns. We have everything you need to be EPA compliant. Low pressure washers, water reclaim systems and car wash mats. Using a Spot Free water filter will allow you extra time when drying a larger vehicle that has just been washed. Much of the environmental elements that create water spots have been removed.